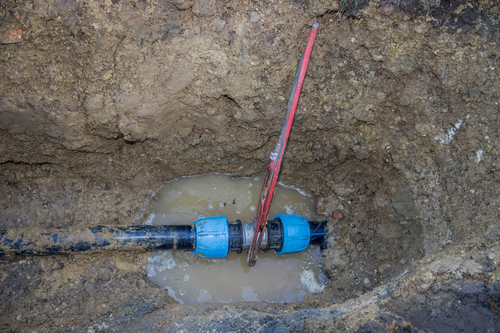 Repairing a leaky pipe is easy, but gaining access to the pipe may be quite a different story. Once the pipe is located, chiseling and cutting through six inches of concrete might be the next step. When you have an older home you can find yourself with rustic pipes that have not been inspected since the home was built from 15 to 30 years ago. We discuss how our team at Accurate Leak can resolve any residential plumbing issues that can happen to your older home. 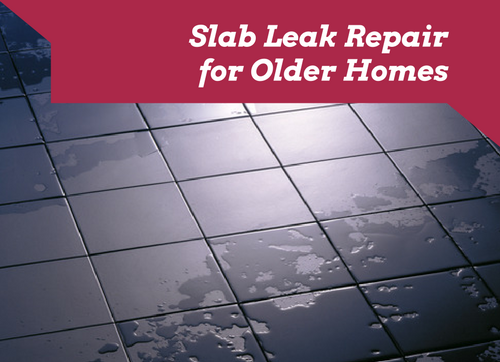 Whether you have just purchased or been living there for years a slab leak can be a very unfortunate situation for your home. Damp or wet spots on a floor point to a slab leak somewhere in the plumbing. Hot water leaks will create warm spots on the floor, easily detectable by bare feet. If the broken water line is not noticeable, a much higher water bill is a dead giveaway. The real alarm bell is the sound of water rushing below your floor. 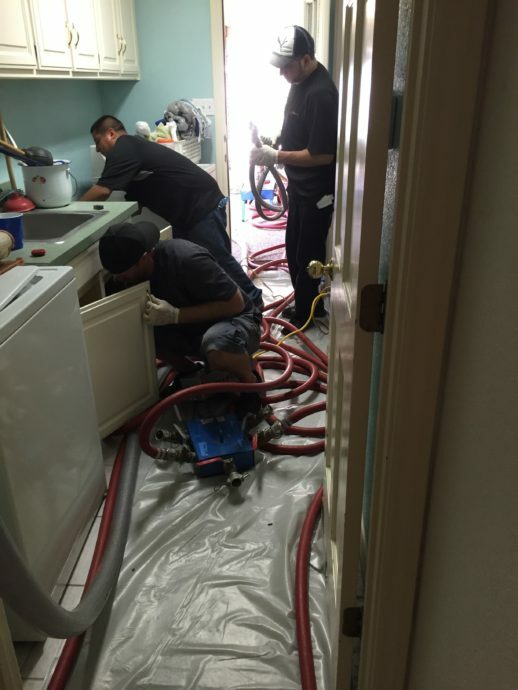 Sewer line leaks don’t usually provide the alarm of running water or damp spots on a floor. Instead, they may go unnoticed until the foundation shows visible signs of damage from cracks. Sewer line leakage can cause the soil to heave up, swelling the cement slab and lift the entire structure. A belated sign of this damage is a raised section of floor, possibly dome-shaped. Gaining access to the broken pipe requires making a hole in the concrete slab. 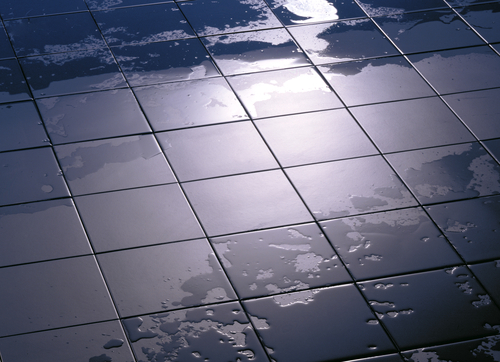 First, all flooring must be removed, unless the flooring is tiled. Making a hole in concrete creates a lot of dust, because a jackhammer is the tool of choice. Being prepared for jackhammer work necessitates covering valuables or furniture before the operation begins or removing them to a dust-free place. When the hole is successfully cut, dirt will be shoveled out and the leaking pipe exposed for repair. Slab leak repairs often expose aging copper pipes. This type of pipe thins with age and use. The plumber will cut and remove the damaged portion of pipe and solder a new piece in place. Sewer lines carry human waste, so leaks are an important health issue. If the home is very old, the pipes may be cast iron. Other substances used may be clay or PVC (plastic pipe). The leak may be the result of corrosion, invasive tree roots or defective joints. Sometimes grease build-up causes a blockage, or a foreign object has gotten into the sewer line. At other times, soil may shift from frost or settling, causing the pipe to crack. All of these instances require different repair approaches, and the plumber will know which approach to choose for best results. Because of the destructive action of a sewer leak, a homeowner may be looking at foundation repair. This repair will probably involve jacking, or lifting the foundation, because it will have dropped into the soil due to the original leak. When a foundation is lifted to a level position once again, new plumbing leaks may occur. This is because many times original plumbing is improperly buried in clay, not in sand. Sand provides some leeway for plumbing to shift when a foundation needs to be lifted. Clay often hardens and clings to pipes. When the foundation is lifted, the pipes break. Because leaks are very detrimental to foundation repair work, a licensed plumber should be called to test for leaks and do whatever repairs are needed after the foundation work is completed. Older homes are picturesque and often very desirable to potential homeowners. When considering the purchase of an older home, be sure to check out its invisible parts, as well. Aging, galvanized pipes are not economical to repair, because repairs are difficult and the pipes will leak in other places as they age. Mineral deposits in the pipes can’t be viewed, but trickle showers will be convincing. Plumbing in that charming old structure may be an eclectic mix of old and new materials. Unless the house has been recently restored, updates on plumbing are a given. Accurate Leak and Line is your slab leak specialists in replacing deteriorated, aging cast iron sewer systems and will install brand new copper water pipes and lines or implement epoxy pipe lining. We dig trenches by hand and penetrate slabs carefully to fix leaks when necessary. We protect your investment with a one to ten year warranty! We are located in Dallas, Austin, San Antonio and Fort Worth/Mid-cities. Our residential sewer and water evaluation will save you money, and could save your important property. Choose us for your repair needs and contact us today!